Earth911 is an organization focused on raising awareness on the environment and the green movement. They recently released a series of articles discussing whether government should place the financial burden of being environmentally conscious upon the manufacturer or consumer. Are government-enforced taxes the next step in increasing consumers to recycle? Beginning July 1st Californians have had a tax placed upon each purchased yard of carpet; an extra nickel will be added to the price of every square yard that is bought. 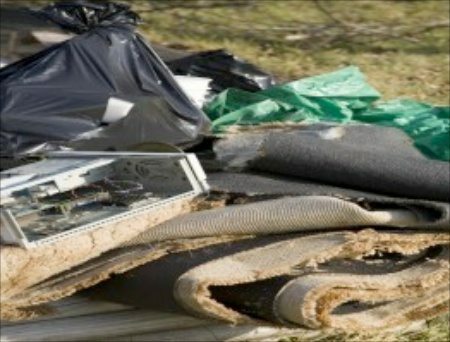 The new law was issued to keep carpet out of landfills and reduce the overall amount of carpet that is being bought. This new tax is bringing up the debate of how the responsibility of going green should be a balance between government, producers and their consumers. The carpet manufacturing industry has developed their own nonprofit organization to join the recycling movement, CARE (Carpet America Recovery Effort.) CARE has rescued over 2 billion pounds of carpet from landfills in the past 10 years. States are now enacting laws to ensure that manufacturers are providing recycling opportunities for consumers. Not only do manufacturers have to take in recycled products, but these laws are also forcing manufacturers to pay the costs of recycling their used products. Texas recently has placed the burden upon the manufacturers of televisions and electronics to have the financial responsibility of recycling their used products. The Texas government is sending the bold message that if a manufacturer created the product; they should be responsible for what happens to the product after use. As other state governments place legislation upon both consumers and the manufacturers, how do you think Virginia’s government is handling the balance of financial responsibility between consumer and manufacturer? Unfortunately, laws that aren’t legitimate mean nothing…how would anyone enforce these laws? Not that I disagree, but litter laws are already in place, yet no police officer is going to pull you over and issue you a ticket if they see it.